Under the annual rotational luminescence of the customary klieg lights, Casey the dog walked the red carpet at the Arlington Theatre on Thursday night and later strolled onstage with a lineup of cast and crew and almost stole the thunder from Diane Keaton and Kevin Kline. Almost. After all was said and done and introduced and watched and sorted out, the truth is that the new film is neither, actually: It’s a pleasant enough lark of a Kasdan-ian project, but dog people may be dismayed by the fact that the bulk of the screen time is sans dog, which has gone missing in Colorado, a beautiful location in which to have famous actors scramble around in ardent search for said absent pooch. Meanwhile, these searchers’ relationships and human issues are worked out, bandied and candied about. In short, Kasdan works up some of that old smarmy charm and calls in some fine thespian voltage — including Kline, Keaton, Richard Jenkins, Dianne Wiest, and Sam Shepard — to take on a script which wavers wildly between big warmth and sentimental hokum. When we finally, inevitably, catch sight of Casey again, a real modern-day Lassie Moment, we kinda wish this had been more of a true dog picture (depending on one’s dog persona quotient). It must be reported that this night’s opening Pixar animated short, La Luna (an Oscar nominee in the short category), is a stronger piece of filmmaking as a whole, albeit in a pint-sized and winsomely fable-like form. No matter. 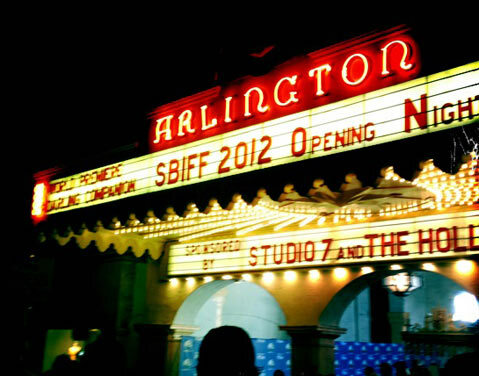 Longtime SBIFF fans know full well that opening night fare, whatever the quality, is no indication of the goods to come. There will be art and foreign cinema, in this time when the chance to catch art film in an actual big screen/theatrical setting is winnowing tragically. There will be celebs, soaking up the pre-Oscar ramp-up energy and exposure ops, including Christopher Plummer on Saturday and Martin Scorsese on Monday, and others scattered around the schedule and wandering downtown.